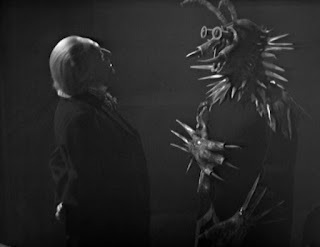 The Angriest: Doctor Who: "Desperate Measures"
It is 9 January 1965 and time for another episode of Doctor Who. The Doctor (William Hartnell) and Ian (William Russell) make their way past the ancient traps of the Didonians. Barbara (Jacqueline Hill) and Vicki (Maureen O'Brien) get to know one another onboard the crashed starship. When the Doctor finally joins them, he gets to the bottom of the mysterious identity of the alien Koquillion. "Desperate Measures" is a deceptively brilliant episode of Doctor Who. It throws in some great character-building scenes, properly integrates Vicki in the TARDIS crew, and climaxes with a tremendously atmospheric and dramatic reveal in an underground temple. 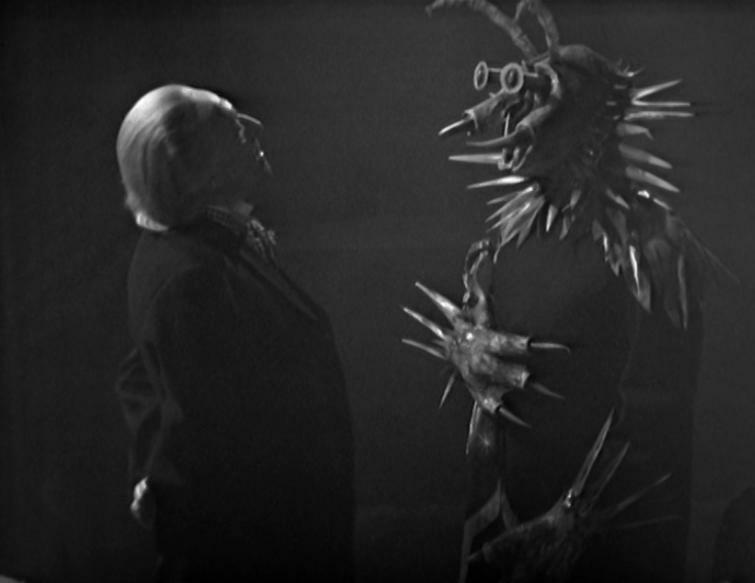 This may be, at two episodes, one of the briefest of William Hartnell's Doctor Who serials, but it makes great and efficient use of its time. There is something delightful in the idea that an alien monster that looks like a man in a rather unconvincing mask actually turns out to be a man in a rather unconvincing mask. Bennett (Ray Barrett) is revealed to have murdered several members of his crew, and has bearing masquerading as a Didonian to ensure Vicki will confirm his alibi to the authorities. That is a genuinely clever plot twist, and if it ever wobbles throughout the serial it is simply because there was insufficient time to develop the Koquillion character and make him a little more believable. Ray Barrett's performance is strong within a fairly limited scope afforded to him. The climax itself is masterful. The temple set is dimly lit and highly atmospheric. Hartnell's performance is deadly serious: the doddery old man act vanishes for several minutes, and instead we see a return to the driven man of justice who started to emerge back in Series 1's "The Sensorites". He even gets involved in a physical fight with Bennett, which came as a huge surprise. The scene's conclusion, in which a terrified Bennett is confronted by a pair of Didonians masquerading as his murder victims, is a moment of outright horror. It's arguably the first such moment in Doctor Who history, but far from the last. At episode's end Vicki, orphaned and isolated, eagerly agrees to join the Doctor, Ian and Barbara on their travels. She's a very appealing character: brighter and more optimistic than Susan, and clearly much quicker to forgive. Earlier in the episode a misunderstanding sees Barbara use a ray gun to kill a sand beast, not realising that Vicki had adopted it as a pet. Imagine meeting a woman, watching her shoot your dog, and then agreeing to travel overseas with her all in the space of one day. If it were me I would not have spoken to Barbara for a week. This is a great episode, and a positive introduction for Doctor Who's new companion. Series 2 continues to hold a 100 per cent quality ratio. Next up: a holiday in ancient Rome.